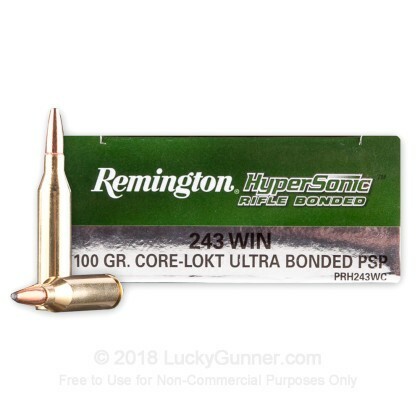 Remington HyperSonic Bonded ammunition is a fantastic high velocity cartridge for hunting. 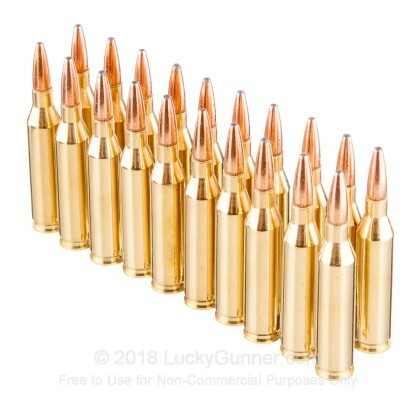 These rounds offer velocities around 200 feet per second higher than standard loads which translates to flatter trajectories and more down range energy. 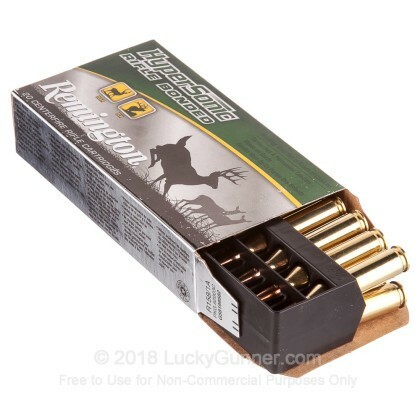 Remington uses factory fresh brass cases that come boxer primed and are re-loadable. Each projectile in this box of 20 is a 100 grain Core-Lokt Pointed Soft Point (CLPSP) that exits the barrel around 3,010 feet per second! 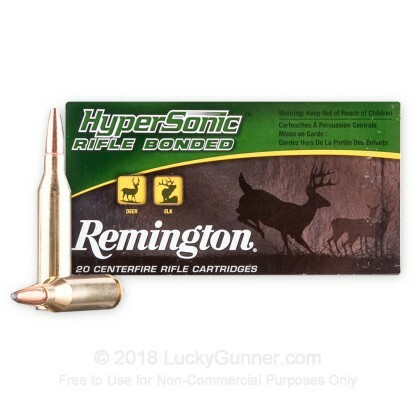 Remington's HyperSonic line is loaded with a proprietary blend of propellants to achieve the boost in speed. This added velocity pairs perfectly with Remington's patented Core-Lokt Ultra Bonded projectiles. 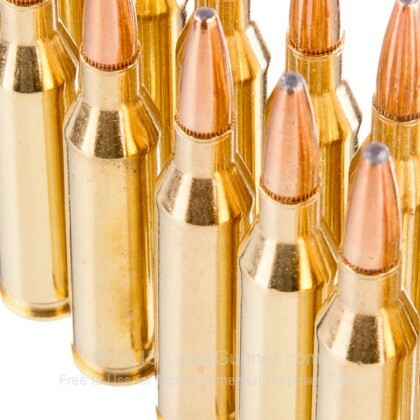 These bullets have a thicker Core-Lokt section compared to other projectiles to help control the expansion at high velocities. 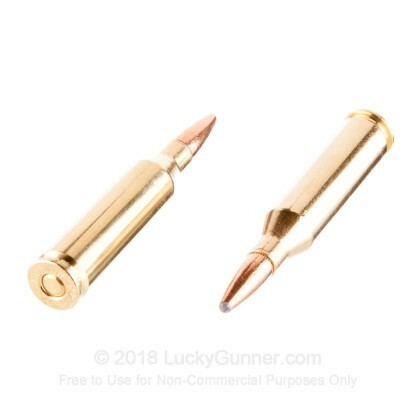 These rounds have been specifically engineered and fine tuned for on-game lethality. Let Remington help you bag that next trophy. Pick up a box or two of this premium, high velocity, 243 ammunition and get out in the field soon!